Scroll down to see all camp descriptions! All camps are limited to 9 students and are half-day, week long. Being creative can make you hungry & messy, so please have your child bring a snack for break time and clothes they can get paint on. We also do art outdoors and go to the park to get inspiration from nature. Therefore, please have your child bring appropriate clothes for the weather, such as a toque, warm jacket and boots. Let's get messy! 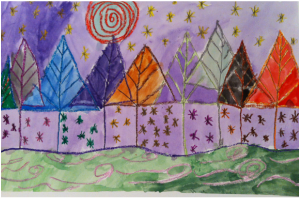 This Winter Art Camp is all about making many kinds of art, from drawing and painting to collage and sculpture. Come make art with us and start 2019 with lots of creativity! Happy Holidays! In this camp we will be making art about the winter season and what's coming in 2019. 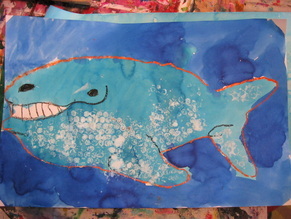 Students will be painting, drawing, printmaking, and sewing. This is a fun camp for kids who are up for anything and love to make many kinds of art!